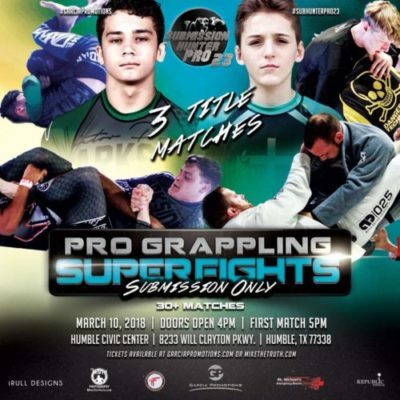 Submission Hunter Pro returns to the Humble Civic Center on Saturday, March 10, for Submission Hunter Pro 23. The full card is listed below, which includes three teens title fights. Purchase your Submission Hunter Pro 23 tickets here at MikeTheTruth.com.